Q. 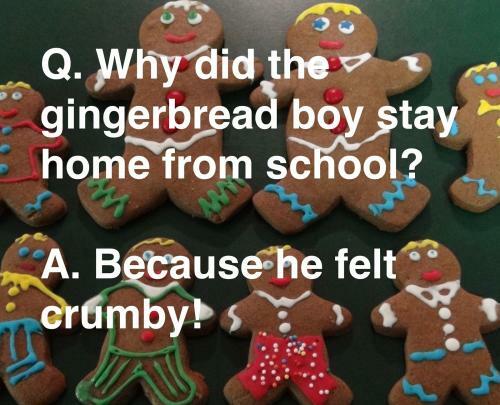 Why did the gingerbread boy stay home from school? A. Because he felt crumby! Q. Why did the gingerbread boy stay home from school? A. Because he felt crumby!